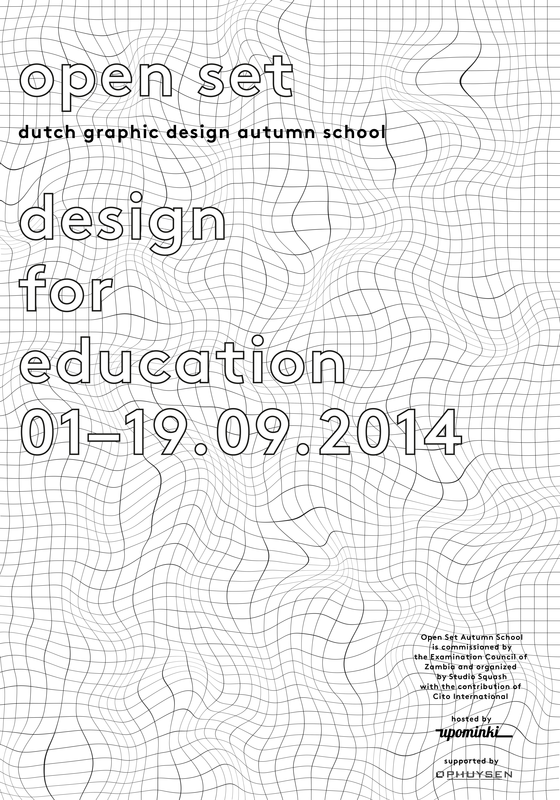 Open Set Autumn School under the theme “Design for education” is a research project by Vlad Butucariu and Irina Shapiro kindly hosted by Upominki. This year Open Set has been invited by the Examinations Council of Zambia to organise a series of workshops and presentations to zoom on the role of design into the examination procedure by addressing to the readability of the examination forms, improvement of the security of materials, advantages and disadvantages between digital and printed medium. Open Set is a Dutch graphic design summer school that Vlad Butucariu and Irina Shapiro have been organising since 2012 in different cities in The Netherlands. 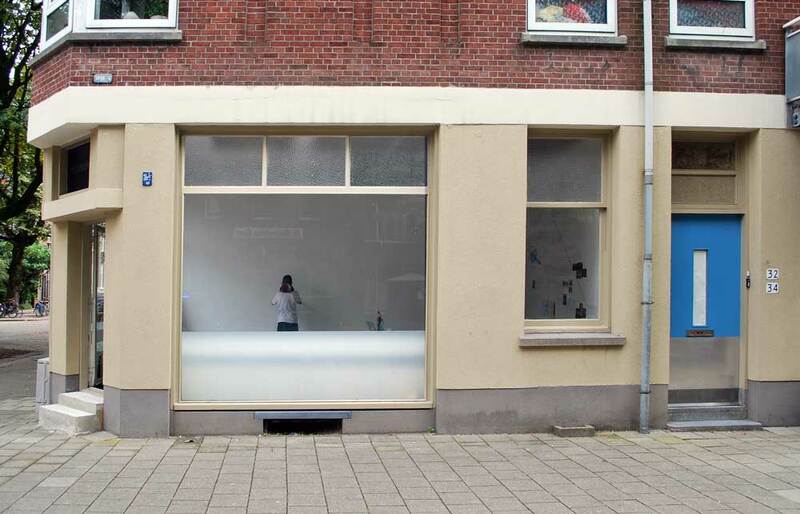 It derived from thier shared practice at Studio Squash, an information and graphic design studio based in Rotterdam. Open Set “Design for Education” is made possible also due to the contribution of guest lecturers from Cito International. 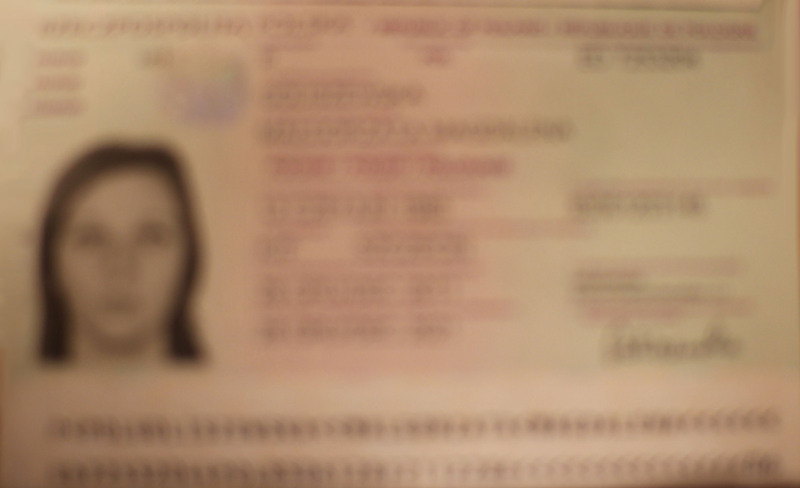 2 passport scans. Copy of the original police note, written in Polish. Travel ticket. I’ll call you when I get there is a joint project of two artists Weronika Zielinska, a Polish artist based in Rotterdam, The Netherlands, and Małgosia Goliszewska, based in Szczecin, Poland. 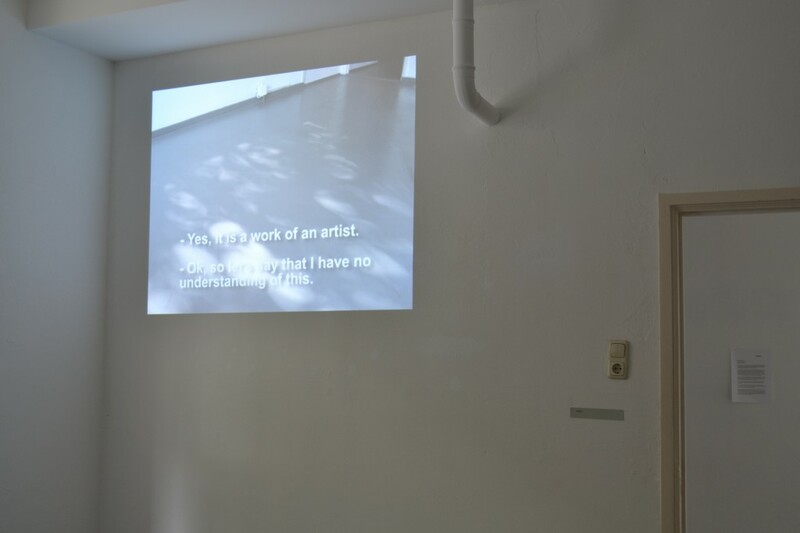 Through a close collaboration between them, the project takes a form of looking at the other, research that deals with clichés and problematics of the complex relationships between two women-artists that work together within cultural field, while being observed from the perspective of an external viewer. I’ll call you when I get there plays with an idea of a narrative, that in bits and pieces tells a story about two artistic practices each struggling with different, yet similar, obstacles. Whether it is an overprotective mother, or a wordy businessman, a decent curator or an accidental passer-by, the puzzles start to fit together once the viewer is left free to wonder around in a space. 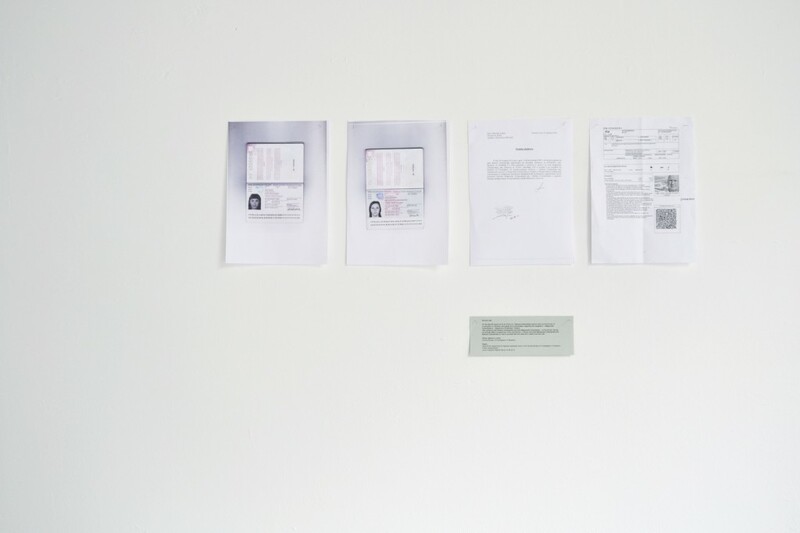 In between moving images that may seem fictitious, he/she finally also discovers some artifacts like scans of two women passports, a train ticket, and a police note with an original stamp. 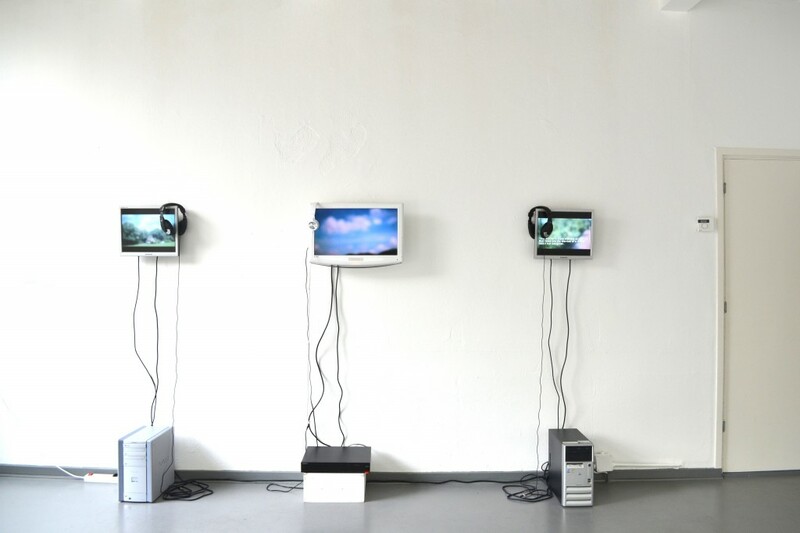 For this exhibition Małgosia purchased different video and audio cables, as well as three sets of headphones, which then she donated to Upominki as a thank you gift. 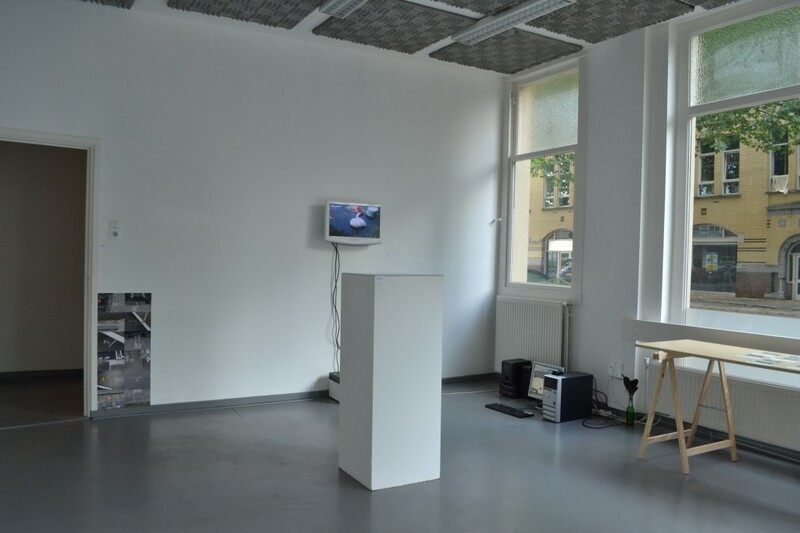 The main thread for both residencies happening at Upominki was to create new inquiries for the relations between emerging Eastern European artists and the Rotterdam public. Therefore, we had no specific expectations for Goliszewska’s contribution in this project. Yet when travelling by train to Rotterdam, the artist encountered a number of events, which irreversibly influenced her approach. Being desperate and tired of not being able to run away from that situation, Goliszewska decided to give up fighting it, and let it be. 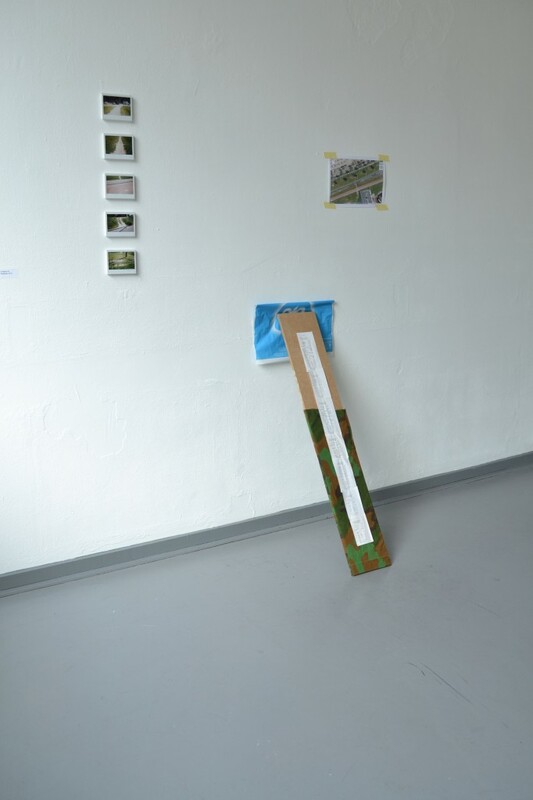 Now after some time spend on working in Rotterdam, she became to realise that such gift of unforeseen events each time brings new subjects into her work. While focusing on the ideas of control and identity, I’ll call you when I get there illustrates how the stories that we create in our minds, often intervene with our consciousness so that we start to believe in them actually being true. We try to protect the ones that we love the most, but how do we know when caring and protecting turns into invigilation or even an obsession? The impossibility to predict what can happen next is the main reason to be afraid and worry about one’s future. 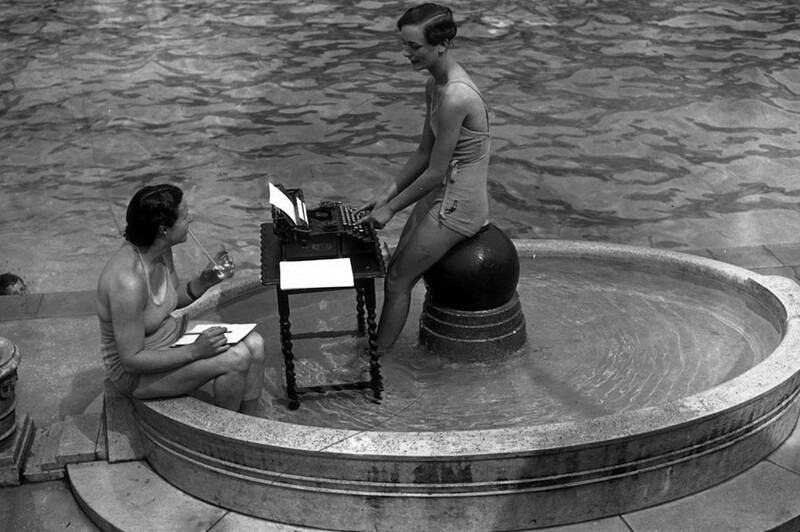 However the artist wonders would there be any joy in life without the idea of unpredictability? 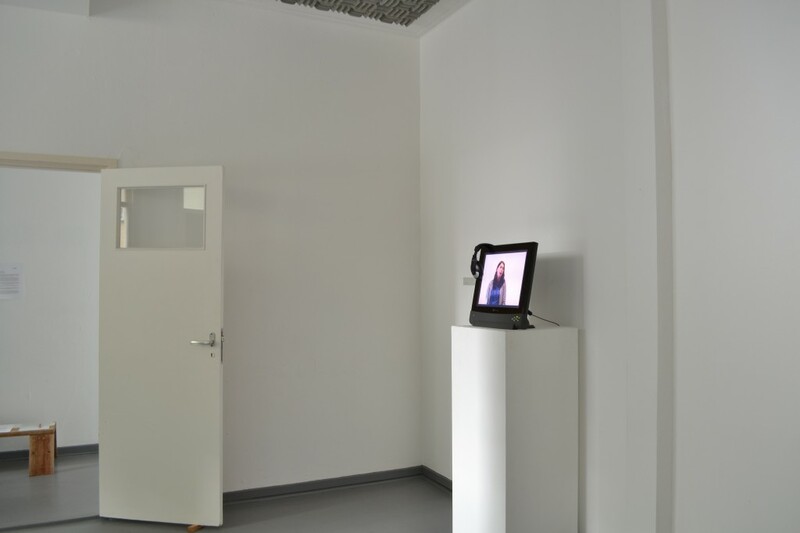 I’ll call you when I get there – a first international solo exhibition of Małgorzata Goliszewska, is a project conceived in a close collaboration with Weronika Zielinska–Upominki, which they are planning to expand back in Szczecin (Poland), city they both come from. Małgorzata Goliszewska born in 1985, is a Multimedia Art student at the Art Academy in Szczecin. In 2012 she completed the documentary course in Wajda School in Warsaw. 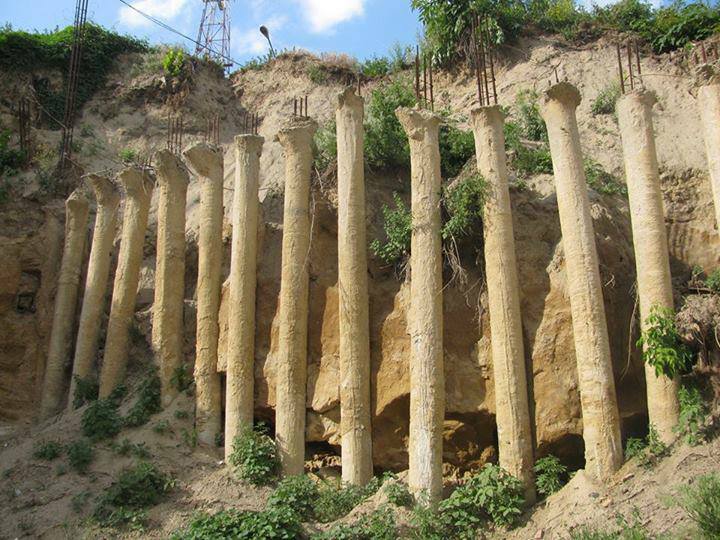 From February to July 2013 she studied and worked in Cluj-Napoca, Romania. Since 2011 she directed five short documentaries. 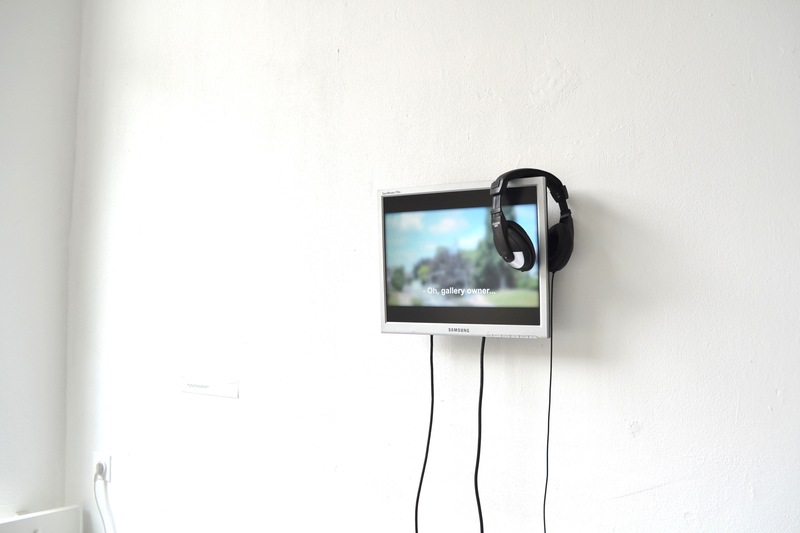 She works in media such as film, video, installation, performance, text, sound and drawing. The direct contact with other people becomes an important aspect in her work through which she also tries to explore and broaden the possibilities of documentary. 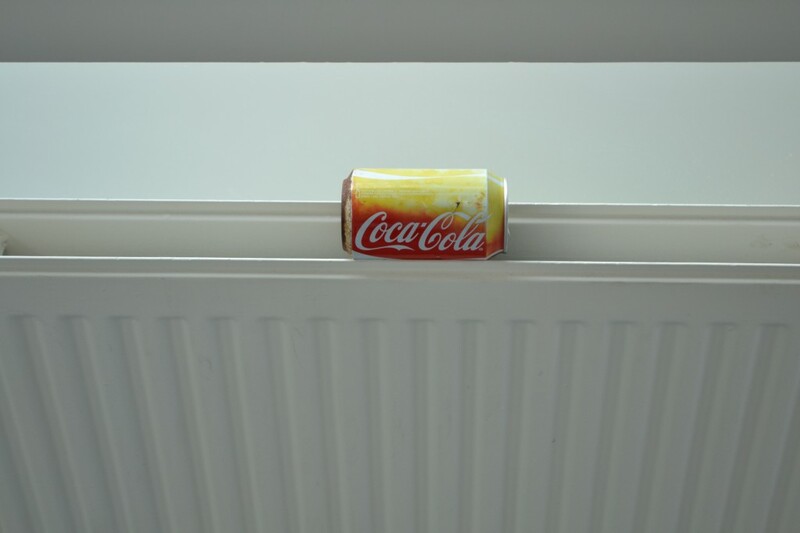 Residing in July Vova Vorotniov, will examine the spontaneous (an)architectural interventions into the public space of Rotterdam and juxtapose them with the situation in his home city (Kiev, Ukraine). Therefore to reveal, apparently, different ways of organizing the public space, the impact of the state control and its violations by the particular communities and people. Taking as a starting point his recent project ‘Hood Guide’; a series of documentation of ‘anarchitectural’ objects found in the area of Kiev, which shows how the gaps and the lack of urban organization are facing low initiatives from the city dwellers in order to adopt the space to their own needs. 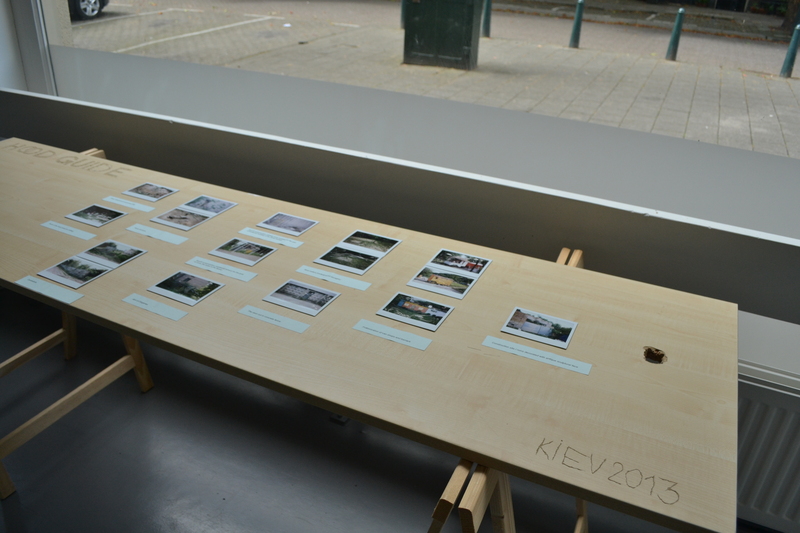 Vorotniov plans to focus on the errors that are happening in the fully controlled urban city planning of Rotterdam. Vova Vorotniov is a Ukrainian born artist with a so-called graffiti background and has recently been shortlisted for the PinchukArtCentre Prize 2013. He studied philosophy and the humanities towards the end of the 90’s but then had decided to take a downshift from the scholar world to street activities as an alternative playground for creativity, which he found more fitting. Currently Vorotniov is working on different topics ranging from local problematics of his Ukrainian identity regarding the culture in the Post-Soviet phase to the ‘indi-economy’ related to the ‘non artistic’ practical creativity like crafts and design. 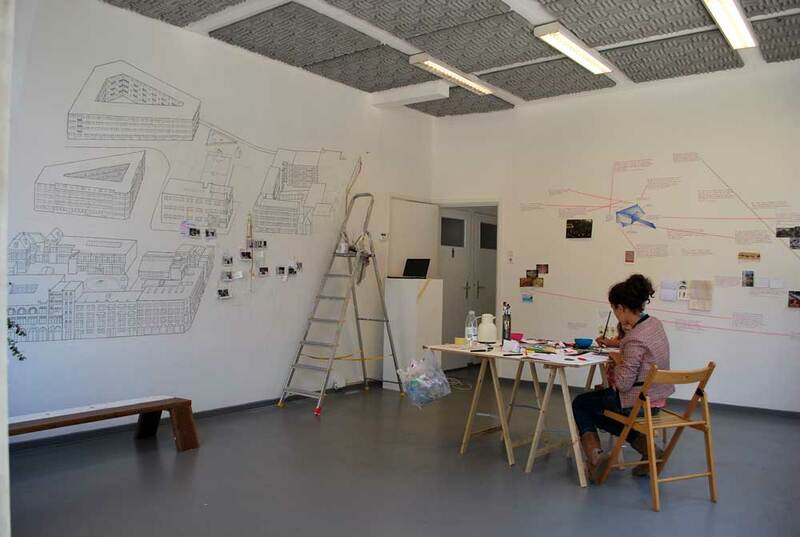 Between July and August, invited by us artists Małgorzata Goliszewska (PL) and Vova Vorotniov (UA), come each for a period of one month to work and live in the space. 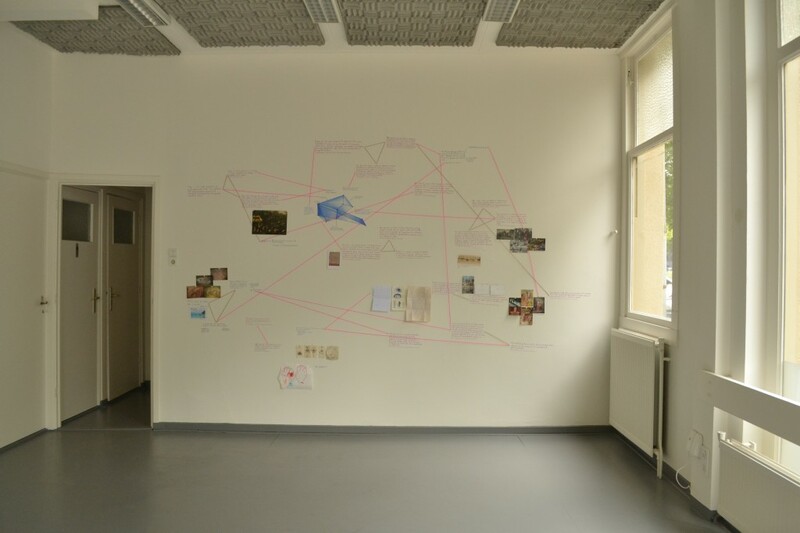 This residency project aims at creating new inquiries for the relations occurring between emerging Eastern European artistic practices, the Rotterdam (Dutch) art scene and its public. Brought by the Rivers became an experience one of a kind; same for the artist who had the chance to be the first resident working and living at Upominki, as for the people living and working in the buildings around the space itself. Salas not only deliverd an amazing visual work with a temporal character, but especially, she managed to create an atmosphere, which will remain in our memories for a long time. 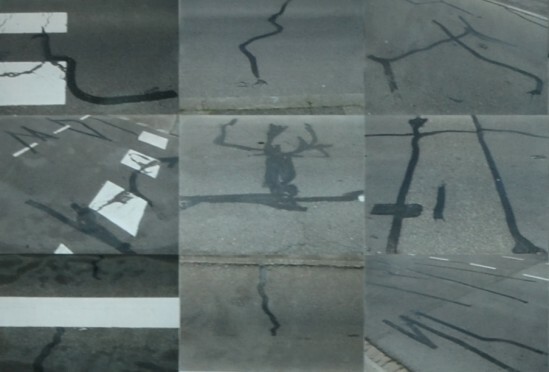 Brought by the Rivers was kindly supported by the University of Amsterdam and Gerrit Rietveld Academy in Amsterdam, Het Lectoraat Art & Public Space (LAPS). P: But so, how was it back then? H: All of my neighbors were prostitutes, junkies or sailors. Upominki is proud to present the results of a one-month research residency by Chilean artist Paula Salas (1982). From 18.08 until 14.09 Salas was living and working in the Upominki space where – in a close collaboration with the gallery neighbours – she developed a mural project. Between buildings and squares, Paula Salas looked for signs that embody the persistence and fluidity of the identities at work in this particular urban context. 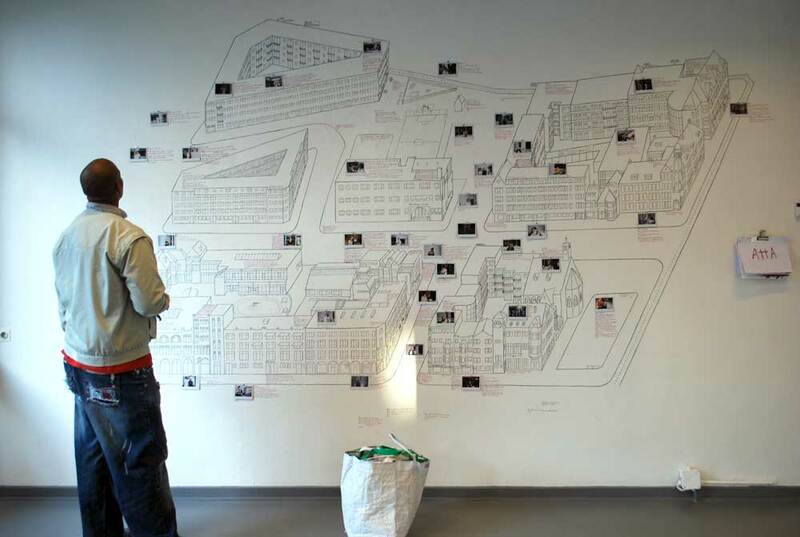 Through “Brought by the Rivers” she intended to construct a non-stereotypical portrait of the community gathered around the blocks of Kapelstraat on Coolhaveneiland, Rotterdam. 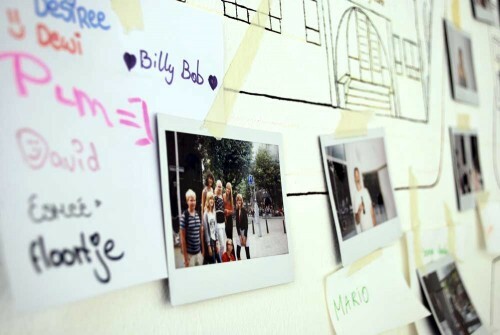 During Salas’ research, the corner space of Upominki transformed into an artist notebook and became a place for conversation and exchange which now exists as an intriguing peer inside the life happening in the neighbourhood. 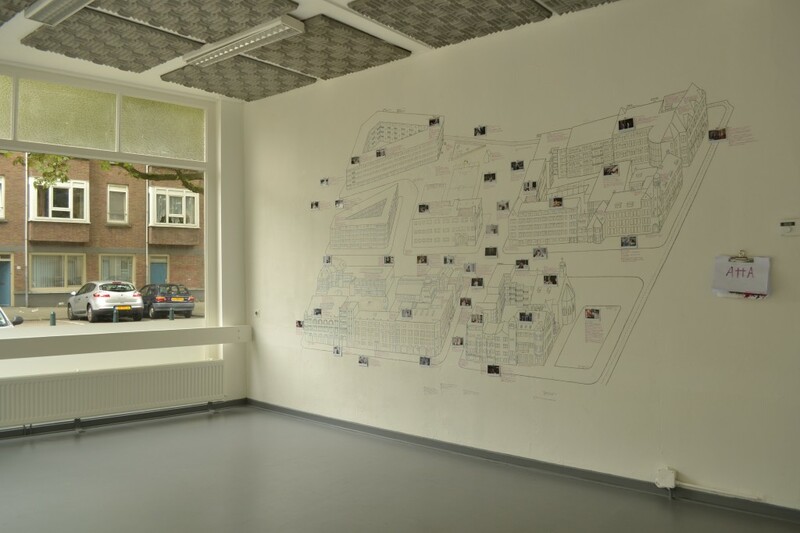 To give a shape for the collaborator’s experiences and opinions, on one of the gallery walls inside, Salas painted a conceptual map of the neighbourhood. Next to this, she explored own creative-process and put that on the other wall, which she called “the thinking wall”. While presented at Upominki Salas’ wall paintings aim to deliver a complex portrait that does not speak about particular individuals, but rather about interaction and mutual transformation of subjectivities, thus the one of the artist herself, and the broader community. Paula Salas (Chile 1982) studied a BA in Fine Arts at the university in Chile (PUC), she also completed an academic certificate in Cinema Aesthetic at the same university. From (the year) 2006 she has been showing her work in collective exhibitions and festivals. 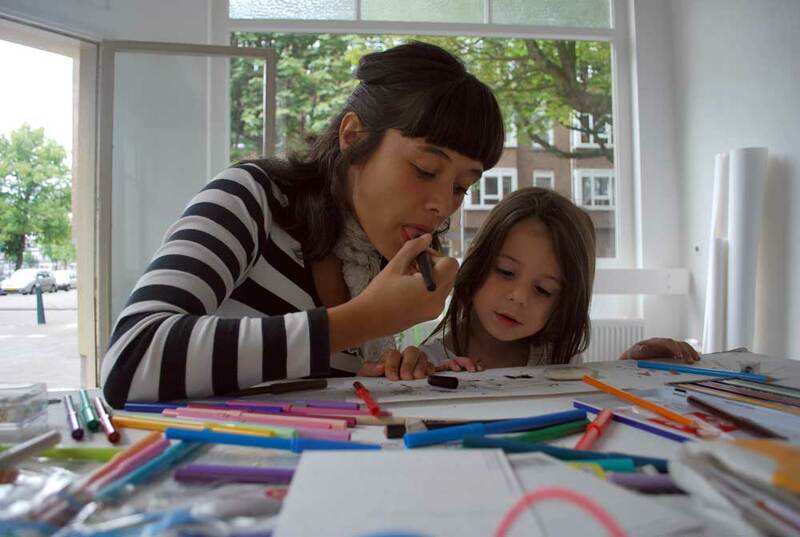 Currently Salas is completing her MA in Artistic Research at the University of Amsterdam. 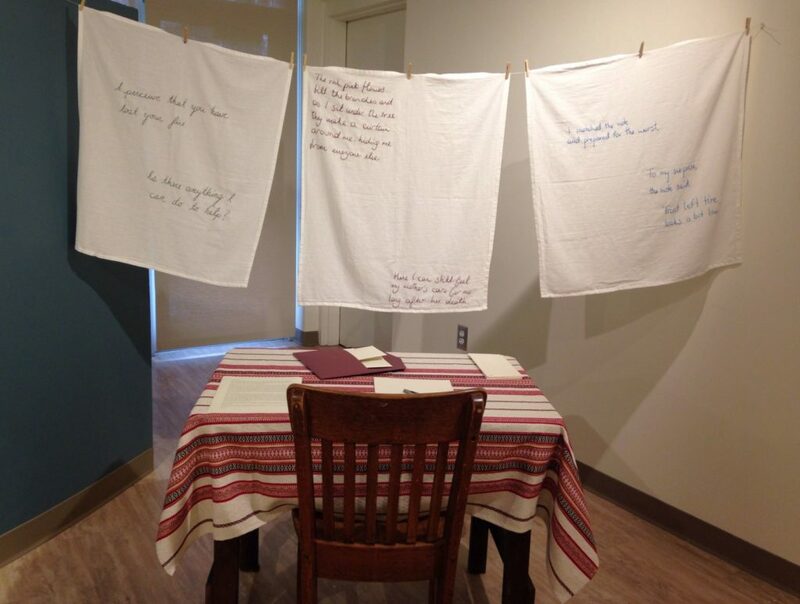 Brought by the Rivers is the artist’s thesis presentation that complements her written work. 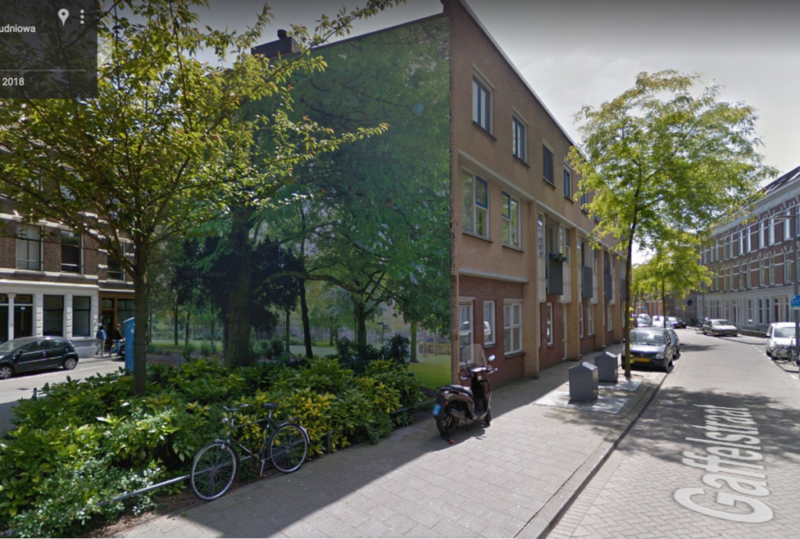 “Brought by the Rivers” is kindly supported by the University of Amsterdam and Gerrit Rietveld Academy in Amsterdam, Het Lectoraat Art & Public Space (LAPS).